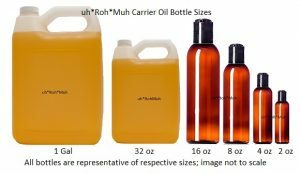 Oil Summary:?Black pepper oil is steam distilled from the unripe red fruit of the piper nigrum, a member of the piperaceae botanical family. Its main chemical components include linalool, limonene, ?-pinene, ?-pinene, myrcene, sabinene, camphene, piperitone, ?-caryophyllene, pinocarveol, ?-bisabolene, p-cymene, ?-terpinene, ?-thujone, ?-phellandrene, and ?-farnesene, of which pipene is the constituent that lends it a sharp spiciness. Black pepper is also densely packed with minerals that include potassium, zinc, magnesium, iron, calcium and manganese, as well as powerful antioxidants including vitamins C and A. It is probably best known for its ubiquitous use in culinary applications, which have been documented for well over two thousand years, but its use in Ayurvedic and Chinese medicine as well as in western medicinal practice is also well-known. Hence, it has always been a commodity, prized both for its flavor, and its range of therapeutic applications. ? Odor and Color: A colorless to slightly greenish liquid having?the characteristic odor of pepper and a?relatively mild taste.. Blends well with:?Frankincense, Jasmine, Lavender, Rosemary, Sansalwood, Orange, Tea Tree, Geranium, Clove, ?Ylang Ylang, Rose, Cinnamon, Bergamot, Ginger, Nutmeg and Coriander. Contraindication: May cause fits of sneezing, so black pepper essential oil should be avoided if you have recently undergone surgery for hernia, glaucoma, or any other abdominal surgery. It may have an irritating effect on the intestinal tract, and should not be taken in high concentrations: small amounts are best for therapeutic use or for flavoring your food. 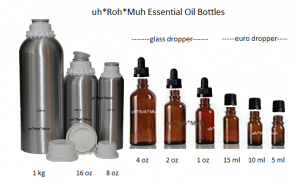 Some may experience an allergic reaction to black pepper essential oil. If you have allergies to black pepper, avoid use entirely. Avoid use if the oil becomes oxidized, which is characterized by a darkening of the oil and a rancid smell. As black pepper essential oil is a ?hot oil,? it can cause severe skin irritation: heed all recommended dilution factors, and test on a small, insensitive area of the skin prior to liberal use. If you are pregnant or nursing, consult your physician prior to use.